The Greek Islands are a magic mishmash of quiet beaches, green and mountainous terrains and a culture of friendly people you won’t easily forget. Not to mention a history of ancient civilizations and mythical tales. Each island is different and there’s likely to be the perfect island for you, but which Greek island should you visit? Which Greek Island has the best beaches? Almost every Greek Island has numerous wonderful beaches and to choose just one island above the rest would be a difficult task. 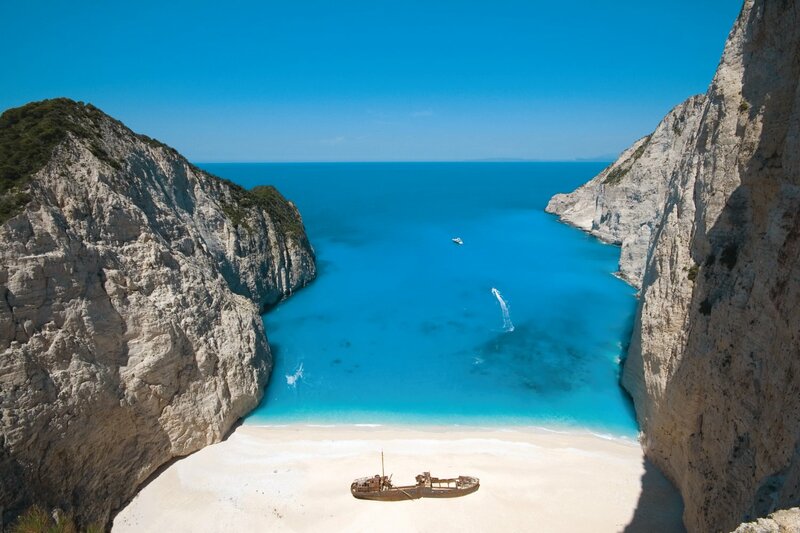 To help you in the right direction here are some of the best beaches in Greece. Elafonissi Beach (Crete)-Located on the south west coast, there isn’t much around this beach meaning it is very unspoilt. Agios Pavlos beach aka St Pauls Bay (Rhodes)– Located in Lindos, this beach boasts striking turquoise and blue waters, perfect for swimming. Balos Beach (Crete)– A Lagoon style beach 56km North West of Chania. Possibly one of the most photographed beaches in Crete. Anafonitria (Zante)– Aka shipwreck beach. This is probably the most photographed beach in Greece. Only accessible by boat this beach is always busy but well worth the trip. Myrtos (Kefalonia)-A perfect semi-circle beach with jaw dropping pale blue and azure waters. Which is the best Greek Island for families? Best for: Families holidays and beach getaways. 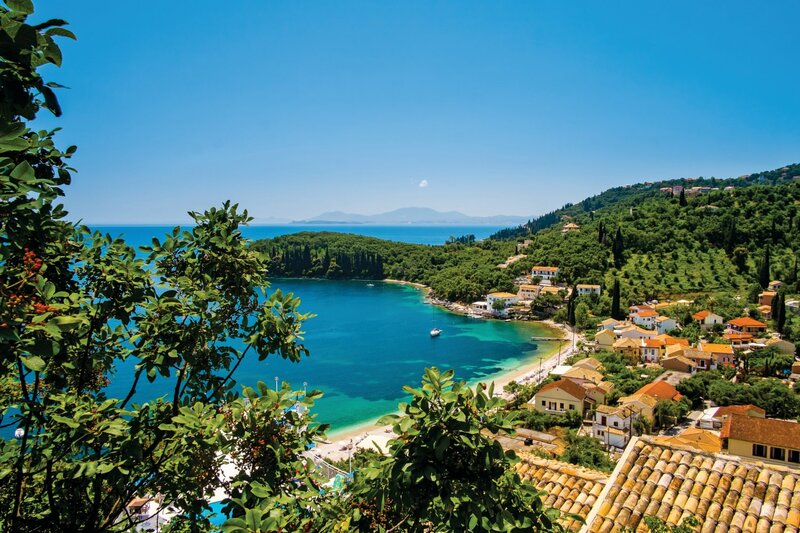 A luxurious island of Eden, Corfu is packed with blue-flag beaches, unspoilt inland villages and a wealth of activities for a memorable family holiday. Corfu town has quaint winding streets of Venetian heritage and delicious ice cream parlours to satisfy the family palette. Families can take a trip to the island’s water park and relax in the many open air cinemas. Did you know: You can find up to 55 species of wild orchids, 4 thousand olive trees and 6,000 different species of herbs and flowers. Where to stay: Corfu town is by far the loveliest resort in Greece but families may find the comfortable resorts of Agios Ioannis and Kontokali more suitable for a luxury holiday. Which is the best Greek Island for couples? Best for: Honeymoons and romantic holidays or simply an introduction to Greece. The biggest draw of Santorini is simply its visually stunning views! You could sit with a cocktail in hand and stare awestruck at the Caldera for way over a week. White washed buildings cascade down the dramatic volcanic cliffs, where you can sample some of Greece’s most delicious wines and delectable cuisine. 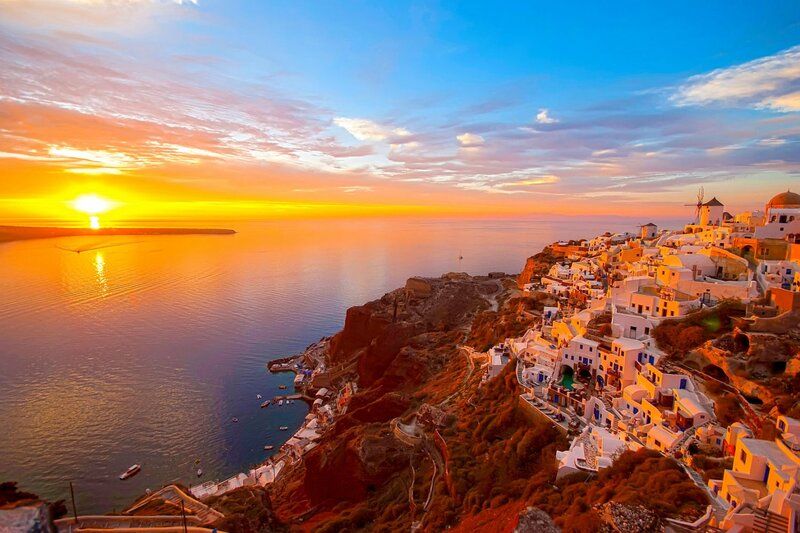 Did you know: Santorini was once named ‘Kallístē’ meaning the most beautiful one. Where to stay: Santorini can be touristy and busy but you can make it your own. Fira is the most popular resort with the famous cliff top view’s but Oia can be a little quieter. The beaches tend to be on the quieter east coast where hotels are also a bit quieter. Find out more in our guide to Santorini blog. Which Greek Island is best for nightlife? Best for: Sophisticated party goers and celebrity enthusiasts. Champagne and fast cars…but without the cars. 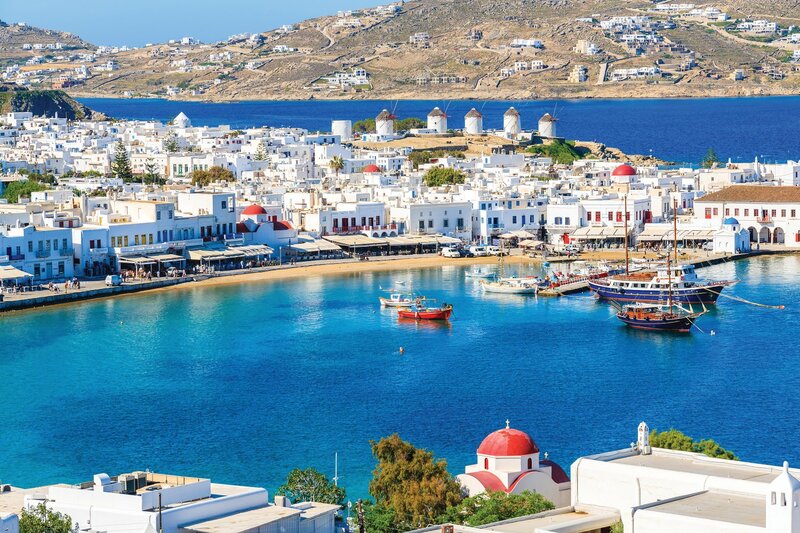 Mykonos is fashionable and chic offering the modern traveller a smattering of glamour; from private celebrity villas to 5 star extravagant hotels. Although it is not all about its St. Tropez-esque façade; look deeper and you’ll be easily rewarded by white sugar cube houses, stunning coastlines and picturesque windmills. Fun Fact: Mykonos has its own mascot ‘Petros the pelican’ who came to the island in 1954. However he is not a 63 year old pelican but a tradition the island has kept. Where to Stay: Chic designer shops and art galleries are amongst the many draws of Mykonos town, or head south to Agios Ioannis for the Island most alluring beaches. Which Greek Island is best for a boutique adult only holiday? Find unrivalled beauty in the Ionian islands of Greece. Kefalonia is a delightful island packed with beauty and an interesting history. Explore wondrous caves and underground lakes or hop the charming small beach coves. Gaze upon the islands lush green pine forests and indulge in superb cuisine with fresh seafood and home grown local herbs. Where to stay: Resort Skala is a pretty seaside town, home to one of the best beaches on the island. Backed by pine forest and surrounded by blue flag beaches, Platis Gialos is perfect for a luxury holiday. Twin with: Take a ferry to Ithaca and discover the island rumoured to be home of Homers poem ‘Odysseus’. Ferries also leave for Bari in Italy or mainland Greece. Arguably there is no real answer to which Greek island is best but Crete certainly puts up a good case..
Best for: Everyone! Family holidays, couples retreats or outdoor adventures. The largest Greek island, Crete also has one of the longest summers in Europe. Meaning in off season months you can indulge in the beautiful beaches and azure waters of Greece. 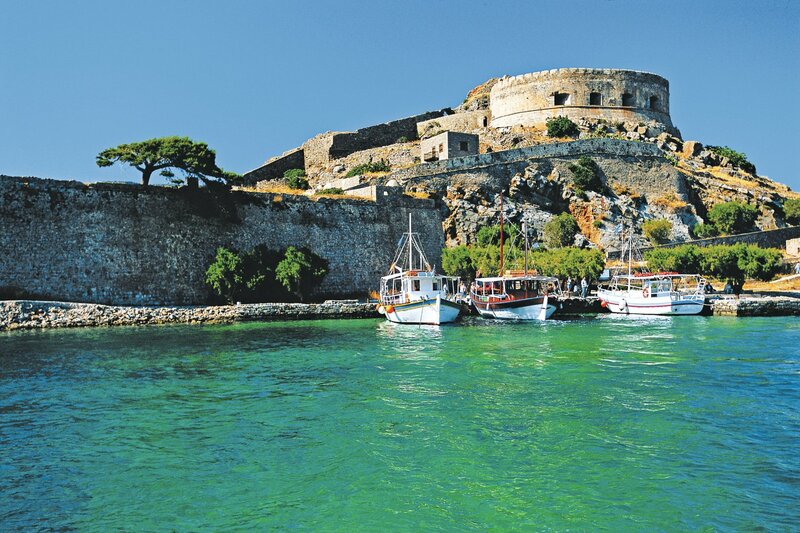 Rumoured to be the birthplace of Zeus, Crete has its role in Greek mythology, meaning the island is packed with ancient ruins and fascinating history. Where to Stay: Every corner of Crete is different and there’s nearly something for everyone. Head to the south coast for walks and outdoor activities or head east in the direction of Elounda for elegant luxury. For stunning beaches and an evocative city explore the capital Chania. Find out which part of Crete is perfect for you. For more places to visit in Greece visit our website. Have you been to Greece? Which Greek island is your favourite? Tell us in the comments below or share your holiday snaps on Facebook! Reading this post has definitely left me wanderlusting after Greece!! I returned to Greece for the first time last year after a 20 year hiatus and fell in love with the greek island of Mykonos. I’m definitely keen to return to Greece this year but to explore a different island – I’m currently debating between Kefalonia and Santorini as they both look fabulous! Greece is such a beautiful country and choosing between Kefalonia and Santorini is a hard choice. Santorini offers the postcard perfect picture of Greece, with white sugar cube houses cascading down dramatic cliffs and so much to explore! 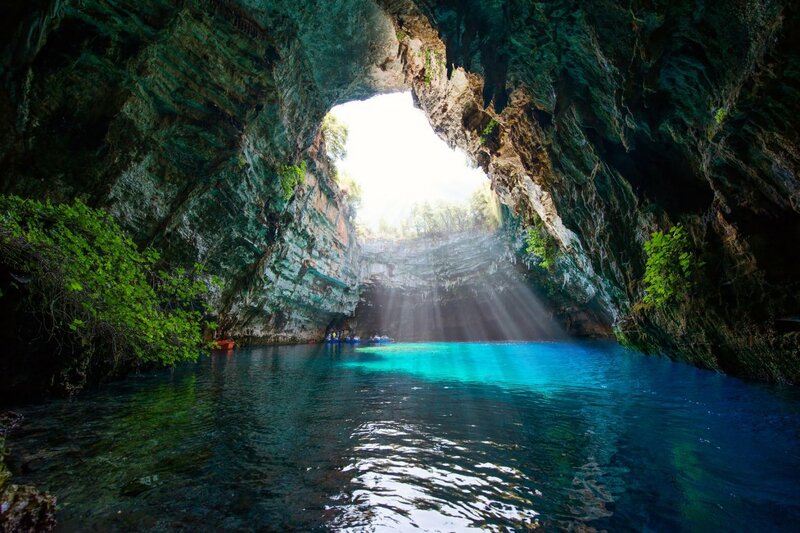 On the other hand Kefalonia has such beautiful caves and so many little beach coves to explore, as well as a Venetian heritage that’s evident in its quaint little towns. Hope that helps! Sporades for me – one day!